Art Factory hostel is a cool option for a stay in Buenos Aires, not just for the graffiti throughout each location, but the relaxed, friendly vibe. 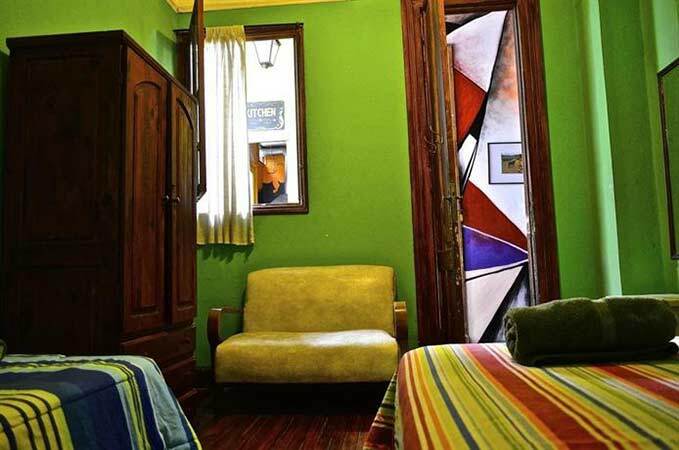 Since opening their original location in Palermo a decade ago, Art Factory has debuted three new locations, making this hostel more popular than Buenos Aires’ longtime favorite for single travelers, Milhouse Hostel. Each Art Factory location is housed in classic, restored building. Inside the style is comfortable and colorful with murals along the hallways and in each room. Aside from the usual amenities such as towels, sheets, and wifi, Art Factory features a bilingual staff, free coffee and tea all day, a breakfast that includes eggs and fruit, a library, ping pong tables (at the Palermo location), and free activities such as Spanish conversation classes. 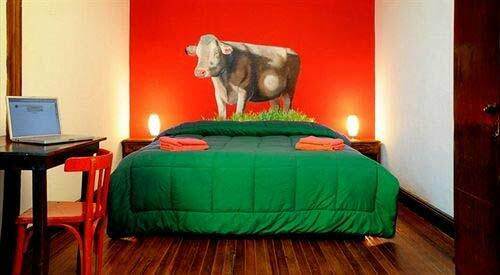 Which Art Factory Hostel Location is Better? The original Palermo location is spacious and perfectly located to enjoy the many restaurants and clubs nestled around the hostel. The more minimalist Act Factory Soho, in a large black corner building, is just five minutes from the Plaza Italia transit hub, making it a good location to get around the city. Light sleepers should note this is the noisiest location, but the private rooms are very nice. 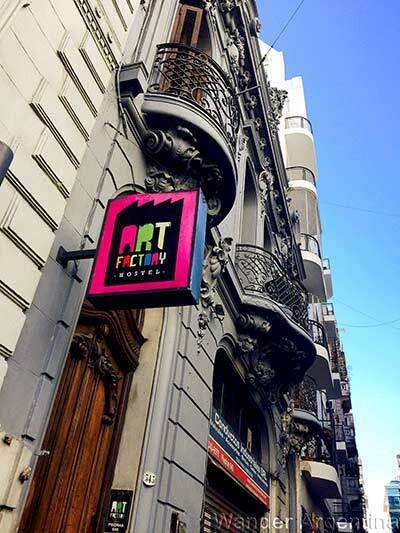 The San Telmo Art Factory is for free spirits who want to stay in the south of the city and enjoy their large roof-deck close to downtown attractions such as the Plaza de Mayo, the San Telmo Fair and the walkable and modern Puerto Madero neighborhood. Beer lovers will definitely want to stay at the newest location, the Art Factory Beer Garden, which claims to be the first hostel in Buenos Aires with its own (quite lovely) beer garden, twenty types of beer on tap and a live DJ spinning music.